Does Event ‘Festivalization’ Drive Brand Engagement? Festivalization doesn’t just attract attendees, it makes them more likely to take home the message you want them to. The status quo in the conference industry has little to recommend it except for being a known quantity. That’s one reason why there is now more “cross-pollination” between business and creative industries. It turns out people are ready for disruption of the traditional business event or conference. Furthermore, the audience itself is more diverse and lives life surrounded by digital distraction. In response, innovative approaches to the typical business event are becoming mainstream, bridging creativity and business, and giving attendees something they value more than keychains and calendars: experiences. These experiences drive brand engagement, and that’s significant when you consider how the concept of “brand” has expanded in the past decade. Not only are consumer products “brands,” but so are businesses, cities, services, and experiences themselves. There are people, including some with a big stake in consumer goods, who believed that Western culture has reached “peak stuff” and is increasingly turning toward memories made by experiences as the treasures of a life well-lived. The head of sustainability for Ikea is one of those people, in fact. And it’s more than just prioritizing a great night out over yet another pair of shoes. Anticipation of experience has significant value as well. Planning the purchase of a product can be exciting, but it can also be frustrating. Planning for an experience is typically positive through and through, however. This is not to say that brands don’t matter. Experiences and brand engagement appear to have a strong relationship, in fact. If, say, a business plans an annual meeting, it can increase employee investment in the brand by tapping both professional and personal interests of the people attending. Everyone knows that meetings are primarily platforms for education, but blending in positive participant experiences can make the education aspect more effective. Indeed, emotion can function as a metaphorical on-off switch for learning. The emotional center of the brain, the limbic system, has significant power to open access to learning and memory formation. In other words, when you engage people’s emotions, the information you want to impart is likelier to “stick.” This can be powerful for brands. 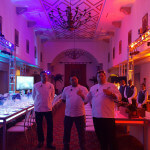 Making an event remarkable from end to end requires more than just hiring a DJ. Unfortunately, it’s not as simple as booking a band to play after the keynote speech at your conference. Pulling together the business and creative sides of an event requires specialized planning and significant behind-the-scenes work to happen effectively. Typically, it involves bringing together expertise in business, media, technology, art, and even education to design events and meetings so that brand engagement is facilitated and positive emotional connections facilitate learning. You can’t simply throw a bunch of random entertainment elements into the mix and have it turn into a phenomenal, memorable event. Another consideration to bear in mind is that events and meetings evolve from year to year. If nothing else, the location is usually different, and technology is bound to have evolved in that time period. North America has seen arts festivals add tech or business elements, and business conferences have put more thought and effort into the entertainment aspects of their events. As just one example, the Grammy Awards, which used to be a one-night event, is now a week-long convention that includes numerous business events along with the creative side of things. Successfully combining business and entertainment into a brand-building festival experience requires knowing your audience thoroughly. Adding entertainment other than the typical business meeting fare requires skills that many traditional meeting planners simply don’t have. A different kind of expertise is often necessary to get to know the target audience, know what all the options are, and curate the most appropriate ones. Corporate meetings and events don’t have to be the dull happenings of yesteryear. Not only does the creation of an engaging attendee experience inspire greater anticipation and attendance, it allows a brand’s core message to be communicated on a number of different psychological “frequencies,” ultimately strengthening the brand profile. If you’re ready to make your meeting or event into something more engaging and effective, we encourage you to check out our Global Meetings & Events Page to learn more about our customized event services, including end-to-end management of meetings and events.